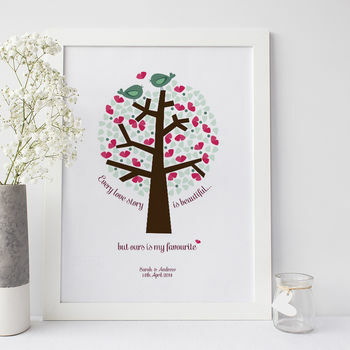 This beautiful personalised print makes a wonderfully romantic and unique anniversary, engagement or wedding gift. 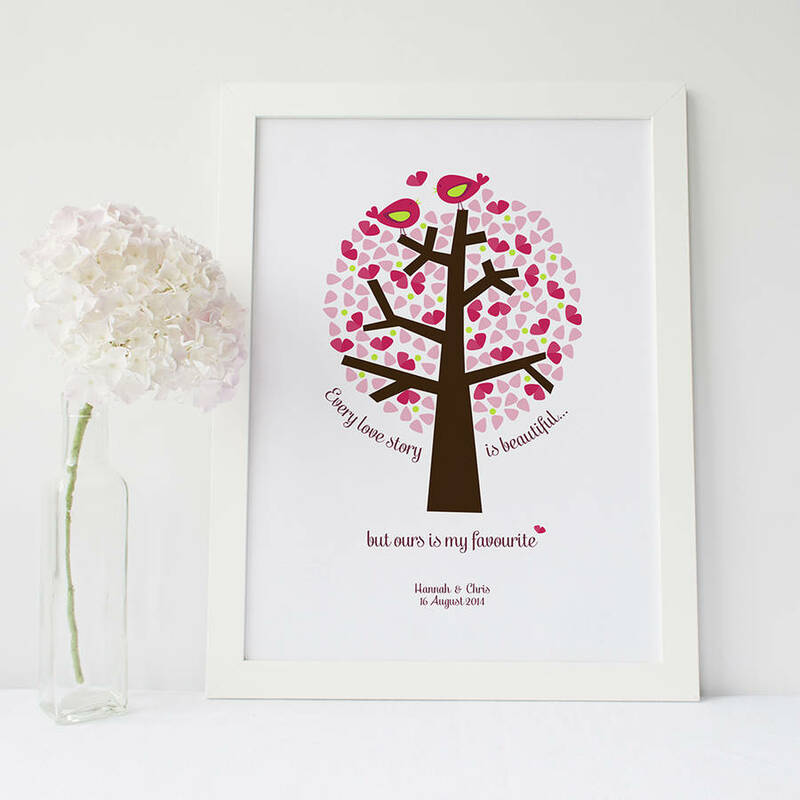 Available in two colourways, pink or green, this bold graphic print depicts a tree filled with leaves and pink loveheart petals with the quote: 'Every love story is beautiful... but ours is my favourite'. Two love birds are perched on the top of the tree, with a heart petal between them. The print can be personalised with names and/or a date, or a message of your choice. This print also makes a great gift for an anniversary, engagement, wedding or a civil partnership. 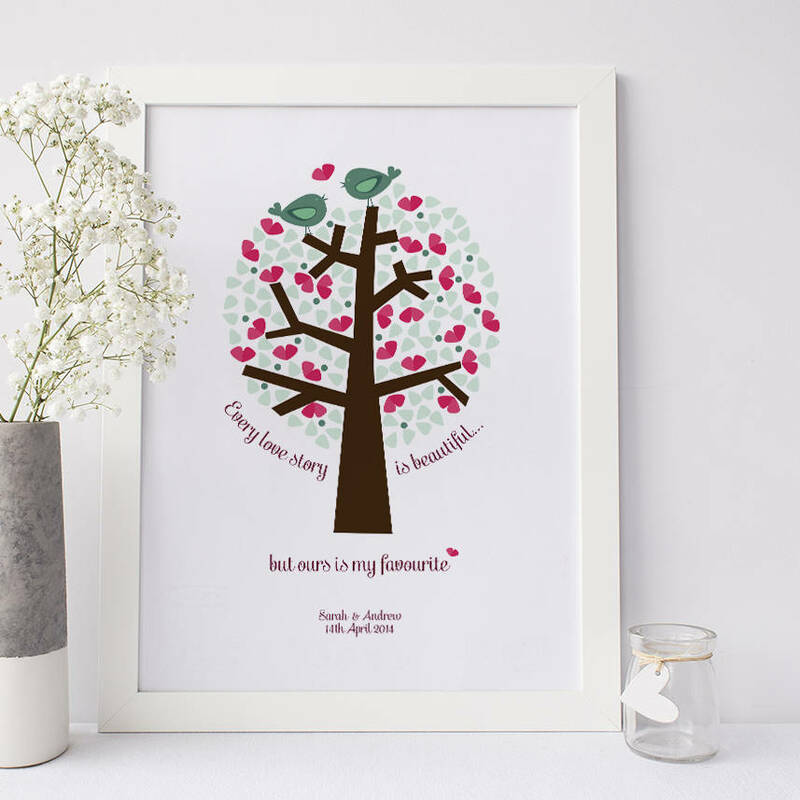 The print comes in two lovely colour variations; pink, with dark pink and lime accents, or green, with dark pink and green accents. 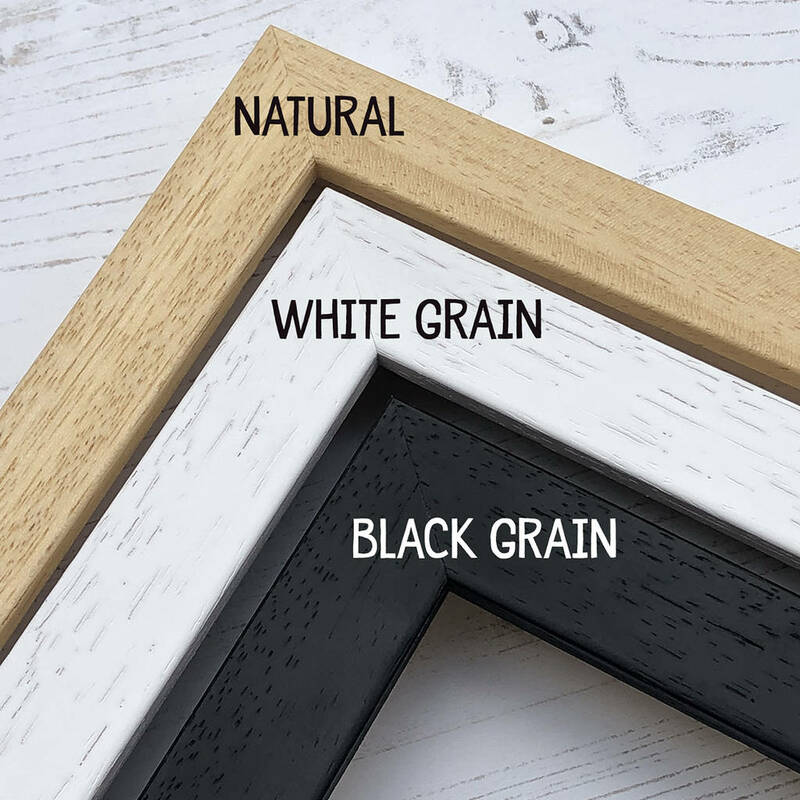 All frames are custom made to order by a specialist framer, have a 2cm x 2cm wooden moulding, shatterproof clear styrene safety glazing which looks just like glass, and are supplied with hanging fixings. PLEASE NOTE: As all our frames are custom made to order and take up to 3 days for delivery, Express Delivery is not available for framed prints. All mounted and unmounted prints fit easily into frames which are available from many retail shops including Ikea. Please note, some product photos do not depict actual frames supplied, and are shown for display purposes only. Frames may not be available during Sale or discount periods. High quality paper and ink. This product is dispatched to you by Wink Design.